As the end of the year draws close, we would like to reflect on all of Prott's milestones in 2015. This past year was one of growth for Prott. The Prott family expanded, Pott turned one, we reached 30K users across the globe, and we held our first Prott Berlin Meetup. Many of your favorite features were released in 2015 as well. Let’s take a glance at some of the big moments for Prott in the past year! With a well established iOS app, we couldn’t forget about Android. The long awaited Prott for Android was released in June. This gave Android users and designers a chance to prototype directly from their device. With the simple UI and full functionality of all Prott platforms, simple sketches turn into tangible prototypes in minutes. The Prott team is a big fan of Sketch, so we just had to have a Prott plugin this year. We released the first Sketch plugin in July and we’ve been constantly making it better since. As Sketch is a design tool specializing in UI and Web design, the plugin is a fast and easy way to upload your designs to Prott. With that, you can instantly bring your designs to life. To download the latest Sketch plugin, please click here. For more information on how to setup and use the Sketch plugin, please visit our help page. The Wireframe feature was launched in May and received a lot of buzz, becoming an instant favorite among our users. With a simple drag-and-drop motion, you can design stunning interfaces or preliminary sketches for your ideas. 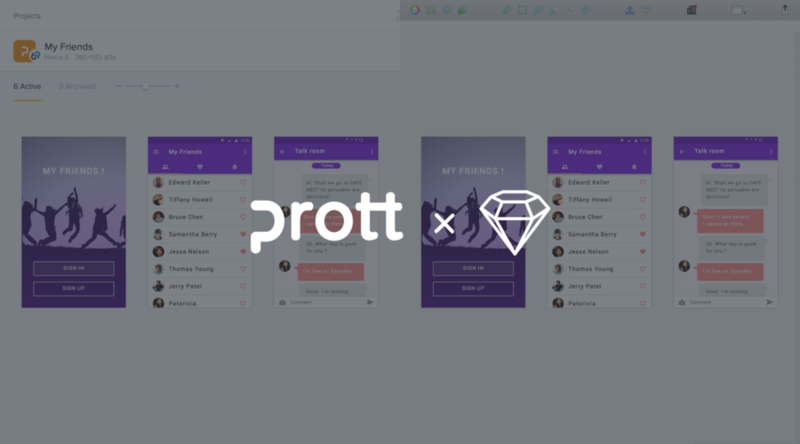 Design, add interactions, test, and iterate all without having to leave Prott. With this, prototyping became accessible to designers and beginners alike. The Wireframe feature is available exclusively to Pro, Team, and Enterprise plan users. For more information on the Wireframe feature, please click here. As one of our most requested features, Multi-gesture allows you to set up to four gestures and transitions to a single hotspot. This is a convenient feature when prototyping apps that require more than one action per hotspot, map apps for instance. For more information, please check our Multi-gesture blogpost. As the Presentation mode is an important feature when it comes to presenting ideas to clients and user testing, we wanted to make it more personal. 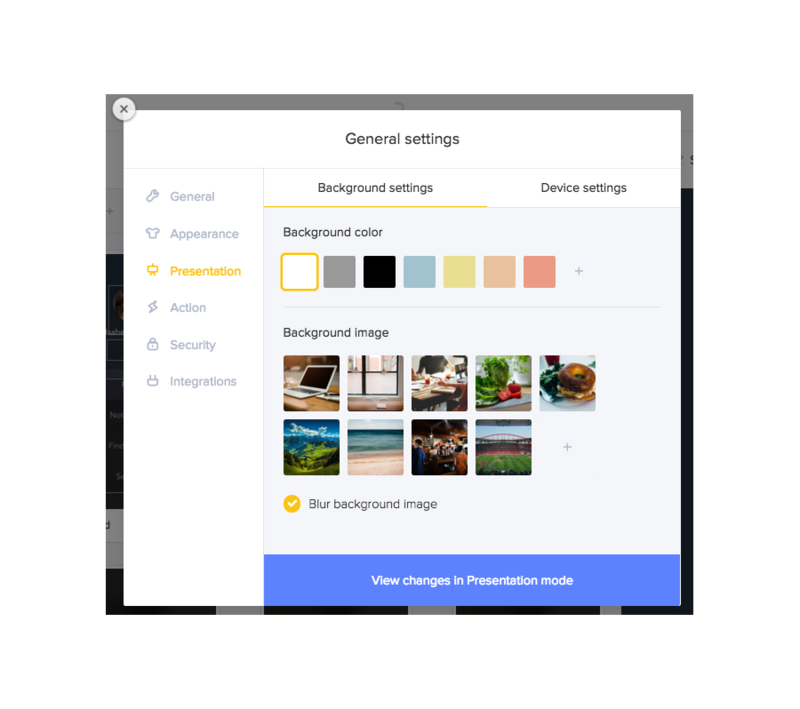 Customize your presentation by changing the "Background" and "Device" settings to match the look and feel of your project. For more information on how to change the settings of the Presentation mode, please visit our help page. Enterprise users rejoiced with the addition of Private projects this year. For highly confidential projects or projects you want to limit access to you can create a private project or change the setting of an older project to make it private. 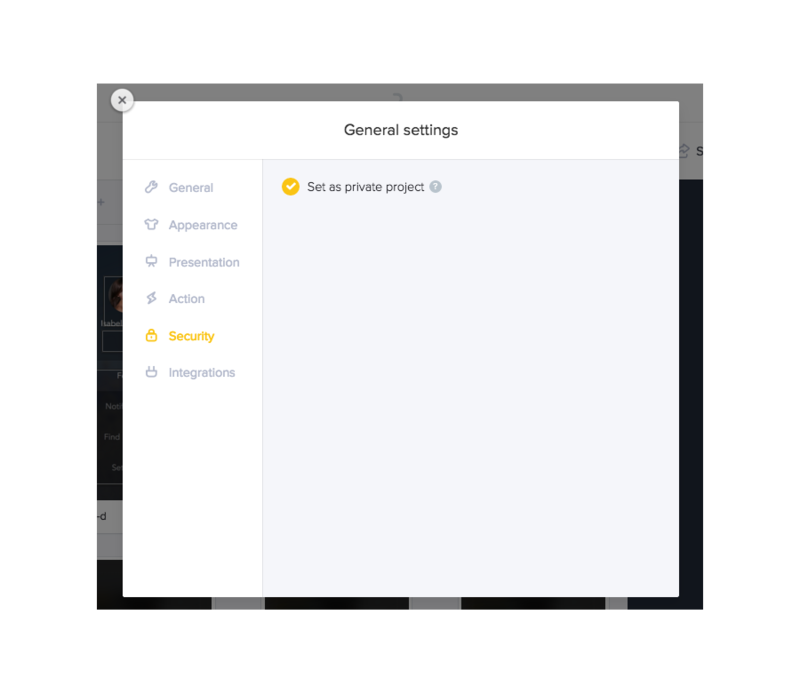 For all the details on how to create private projects and what that entails, check this blogpost. Prott was officially released on October 1st, 2014 and we celebrated the first anniversary this year. 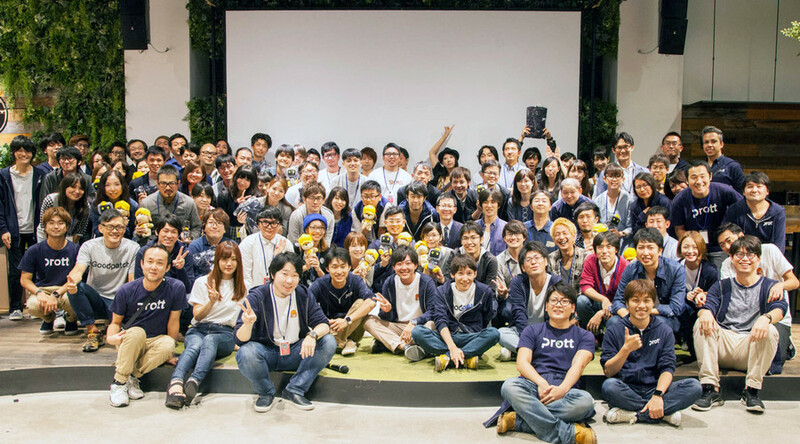 The celebrations included an event we held in Tokyo where we invited all our users and supporters to a night of Prott fun. 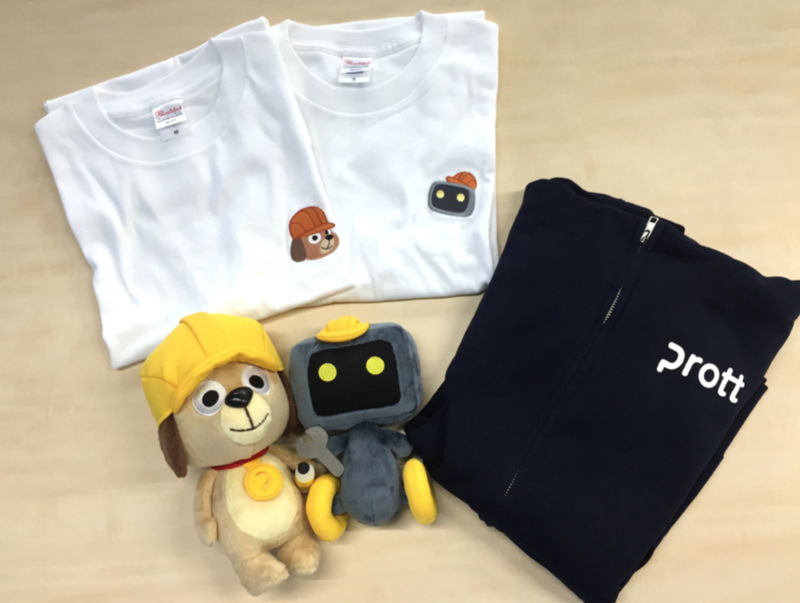 We also designed some novelty Prott goods which were given as prizes during the event. Our Tim and Robo plushies were amongst the most loved items. We would like to hold more events like this, both in Japan and abroad, so stay tuned for information about any future events by following us on Twitter or liking us on Facebook! The second half of 2015 was a busy time for our engineers. Along with the new feature developments, there was a lot of focus on performance tuning. From front-end, server-side, and infrastructure, our development team worked together to make Prott faster, better, and more stable. We will continue to do regular maintenance and performance tuning throughout 2016 to give you a seamless Prott experience! We’ve got big plans for 2016! Some of the things you can look forward to are a totally revamped Prott for Mac OSX, Prott for iPad, and significant improvements and new additions to our comment feature. Lastly, on behalf of the entire Prott team, we would like to thank all our users for the tremendous support in 2015. We appreciate every comment, question, and feedback you have generously provided. We will continue to work hard as a team to make Prott the best prototyping tool for you.